Where I work, we’re in the thick of planning and producing a food & music festival headlined by John Mayer this fall. 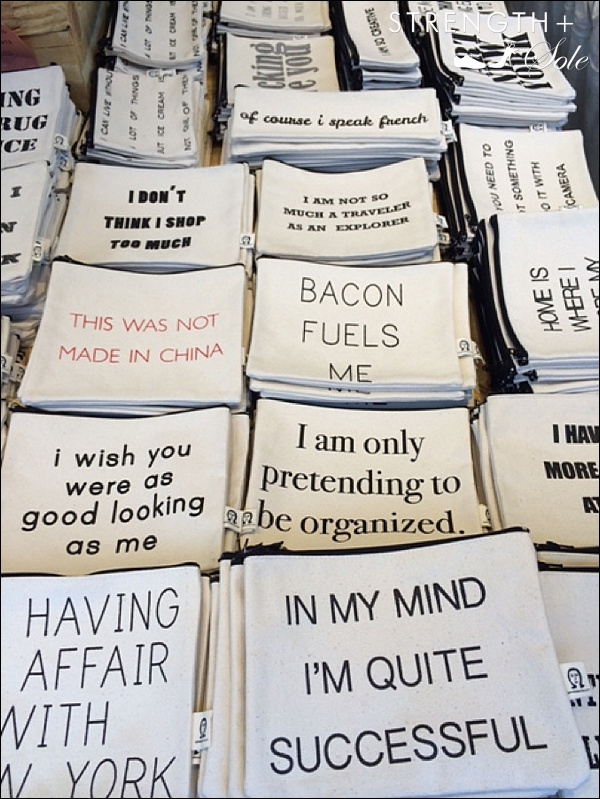 So, he was on my mind when I spotted Pamela Barsky’s collection of ultra expressive zip-up pouches at Artists & Fleas in Chelsea Market and also downtown at the new South Street Seaport. Always a fan of communication, just like Mr. Mayer (yes, I was one of those chatty teenage girls who obsessed with my friends about, like, everything via phone for hours), I chuckled while rifling through her snarky-meets-sophisticated collection of canvas bags. 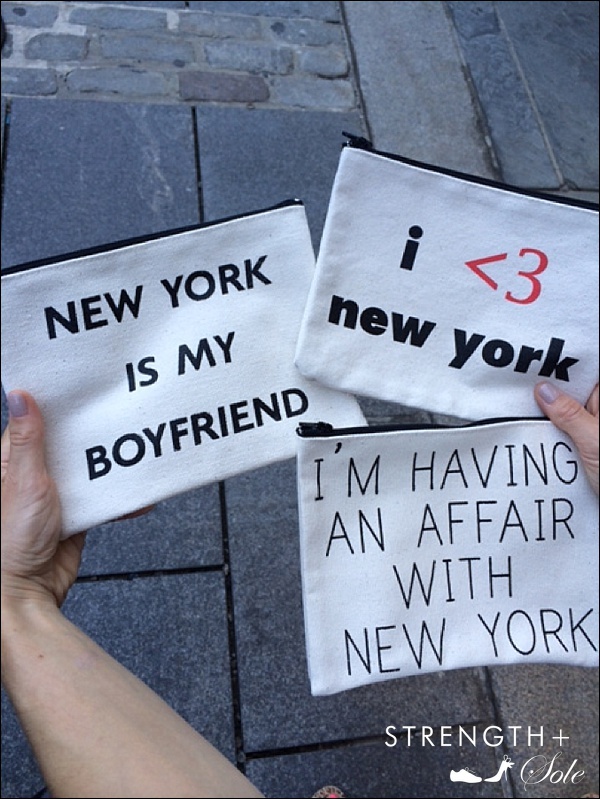 And, when it comes to New York, these are a handful of my favorites. Because in this town, let’s face it, you can never have too much style…or too much love. Love these! Was she also at the holiday markets? Thanks! 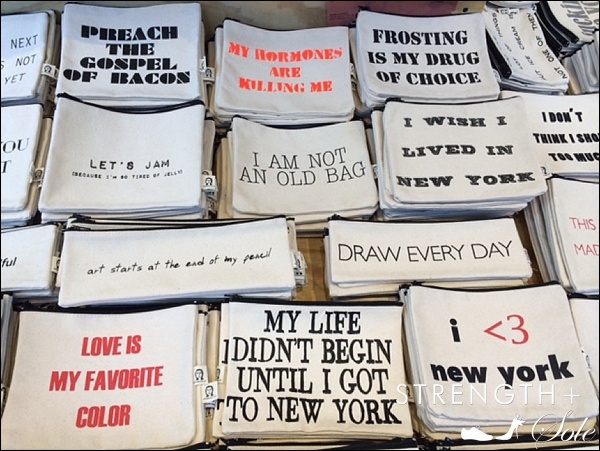 She’s great–and, still at Chelsea Market & South Street Seaport. Love the cute quips. Thnx. Let’s get a few. Great gifts. I love love love these RB! I am going to order some on etsy! Thank you so much for introducing them to your fans!